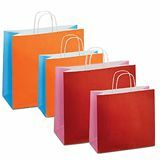 Paper carrier bags are a classy alternative to plastic bags and come with the added bonus of a clean environmental conscience! 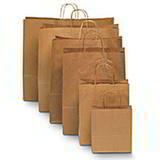 Davpack can offer options for every budget from economy brown paper carriers to luxury bags ideal for the smartest boutique. 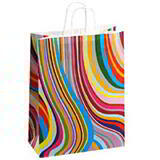 All can be ordered from stock for rapid delivery and remember that the more you buy, the more you save with our fantastic quantity discounts! 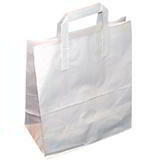 As the debate continues to rage on the relative merits of paper and plastic bags, Davpack carries on offering the very best choice and value in both! 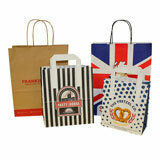 We love the look and feel of a traditional brown paper carrier bag, and that means you get one of the biggest ranges available online in the UK. 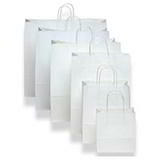 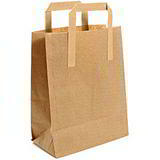 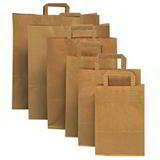 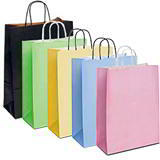 From our economic budget paper carrier bags in brown and white, to luxury paper shopping bags ideal for fashion and gift stores, there’s something for everyone. 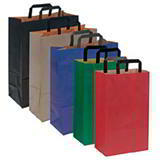 You even choose whether your paper carriers come with twisted handles or folded handles. 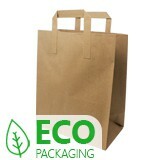 And being made from recycled paper or paper sourced from sustainable forests, easily recyclable and 100% degradable, they’ll also be popular with your eco-friendly customers! 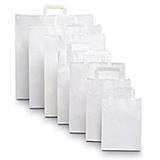 So why not treat yourself and your customers to the sort of luxury retail paper packaging you thought now existed only in your childhood memories?